More job cuts since June as the company is looking to optimize its financials division cost base. Playtech has just announced its results for the first half of 2016 with the total revenues of the firm rising by 18 per cent year-on-year. The company has also detailed the numbers of its financials division which has undergone a major restructuring in recent months in order to shift the company’s business model from salesperson based approach to automated funnels. The changes have been made in response to the tightening of the regulatory framework by the Cyprus Securities and Exchange Commission (CySEC). The financials division of Playtech has reported revenues totaling €31.3 million, which compares to €60 million for the full year in 2015. However the full number for the year including data before the acquisition of TradeFX and Markets.com which was completed in May 2015 was $100 million. That said, last year Playtech announced that overall, revenues at Markets Limited were $48.2 million during H1 2015, which was an increase of 60% compared to the same period in 2014. 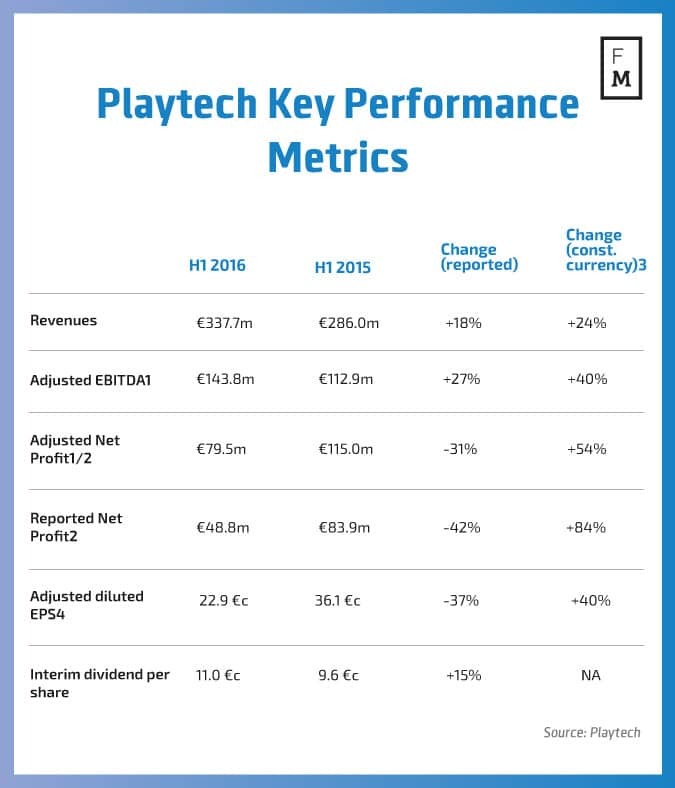 If we take these figures into account, the revenues of the financials division of Playtech have dropped substantially due to the restructuring. The bottom line for the financials division overall is in line with the company’s statement highlighting solid performance and growth potential in the B2B area. The financial division’s Earnings Before Interest, Taxes, Depreciation and Amortization (EBITDA) have amounted to €5.9 million in the first half of 2016. The company has stated that further to the cuts it made in the first half of 2016, which were related to the restructuring of the company’s sales model to automation, it has made further cost base reductions since June. During the first half of 2016, due the the transition of the financial business which has been prompted by regulatory changes, Playtech has ceased its relationships with Introducing Brokers. The company also moved away from binary options and introduced fundamental changes to its onboarding procedures. The number of active customers trading on the core markets.com site was lower by 11 per cent when compared to the first half of 2015, and first time depositors (FTDs) were lower by 45 per cent. The number of FTDs from the mobile app of Markets.com’s 42 per cent of the total. The proportion is higher by 19 points from the first half of 2015, which reflects the successful move towards an automated sales funnel. Revenues from the B2C business were lower due to the business improvements, while the B2B business spiked higher with active customers becoming 13.0k, which is more than double when compared to the first half of 2015. FTDs totaled 7.7k, which is a 60 per cent increase from the first half of 2015. 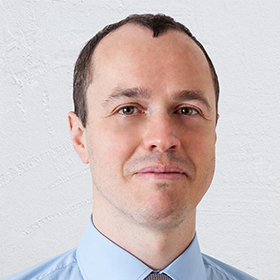 “We are now confident that Markets has the right platform for sustainable growth, which is beginning to show positive signs, as evidenced by an improved performance in July and August to date. The second half of the year will also benefit from further reductions in the cost base made in June with headcount now reduced by a third since the acquisition in April 2015. Finally, Markets gained traction as a B2B provider given its unique technology and offering, and has a good pipeline of B2B business which will augment B2C growth over time,” the company elaborated in an official statement. Seems like its not the restructuring from a sales approach that hurts the business as much as GIVING AWAY their IB business which attributed €18.4m in H1 2015. What was the compensation if any to Playtech for those assets moving to Leader Capital and other Tedi Sagi controlled businesses?